The Stellar Awards, dubbed the biggest night in Gospel music will make a triumphant return to Las Vegas Nevada in the Orleans Arena on February 20th. 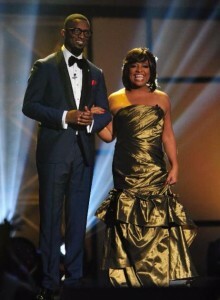 Also making a return for hosting duties are comedian Rickey Smiley and actress/daytime talk show host Sherri Shepherd. The Stellar Awards will make its broadcast premiere on TV One during the week of March 6, before entering syndication reaching 150 stations in 125 markets between March and April. 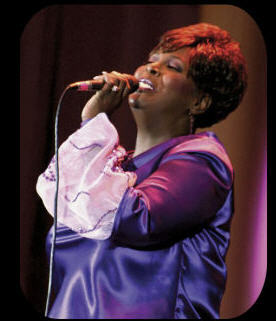 In this year’s special honors categories, commendations will be given by Stellar Awards founder and Central City Productions CEO Don Jackson to Yolanda Adams and comedian Jonathan Slocumb, the late O’landa Draper will receive the James Cleveland Lifetime Achievement Award and the Ambassador Bobby Jones Legends Award will be presented to the Mighty Clouds of Joy front man, the inimitable Joe Ligon. Performers for this year include Kirk Franklin, Anthony Brown & Group therAPy, Charles Jenkins & Fellowship Chicago, Tasha Cobbs, Travis Greene and Best New Artist nominee Casey J.